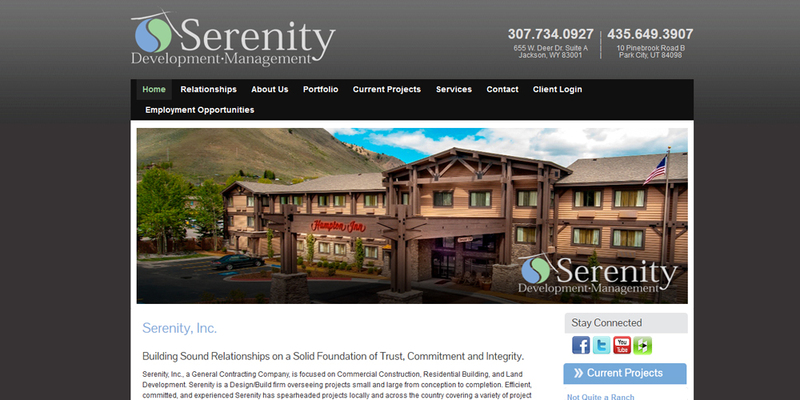 Serenity, Inc is a General Contracting Company based in Jackson Hole, Wyoming since 2005 along with a new location in Park City, Utah. They focus on Commercial Construction, Residential Building, and Land Development. Their website was developed with a responsive WordPress to provide the most current information on the growth of their business.